Sabrina Iven has always had in mind to do something with literature. But she quickly realized that she was capable of doing much more than just editing. 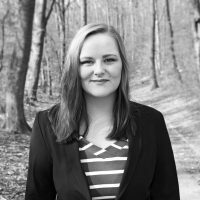 She has written several contributions for the biggest German review forum literaturkritik.de and has worked on the Autor*innenlexikon der Gegenwart. She has familiarized herself with media relations and online communication during multiple internships. Iven is experienced in social media relations with an affinity for Facebook and Instagram. At Krampitz Communications she is responsible for the agency’s press distribution list, communicates with clients and journalists and manages social media campaigns and events.